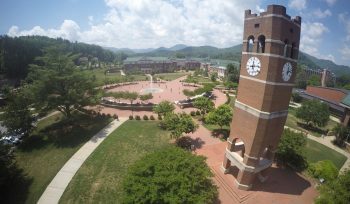 Your weekly trip into the world of Western Carolina University! Hello all and welcome back to another edition of the WCU PodCats Podcast! This week Josh and Patrick examine one of the most important parts of the college experience, the residence hall! We take a look at all 13 residence halls on Western’s campus and tell you a little bit about each one to help you figure out which one works best for you if you are a new or current student and reminisce about some fond “dorm” memories for you alumni. Check us out on iTunes, Facebook, and Twitter; thanks for tuning in and as always, Go Cats!